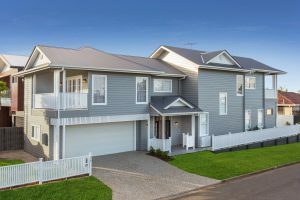 There are a lot of Sunshine Coast house painters, and at first glance there is seemingly very little difference between them. It can be hard to know how to narrow them down and make the choice about who you’d like to come and work with you. Is there any way to see what makes one stand out from all the others? We feel there is. Below you can read the 10 reasons why we at Martin’s Professional Painting are very different compared to most painting businesses in your area. 1. 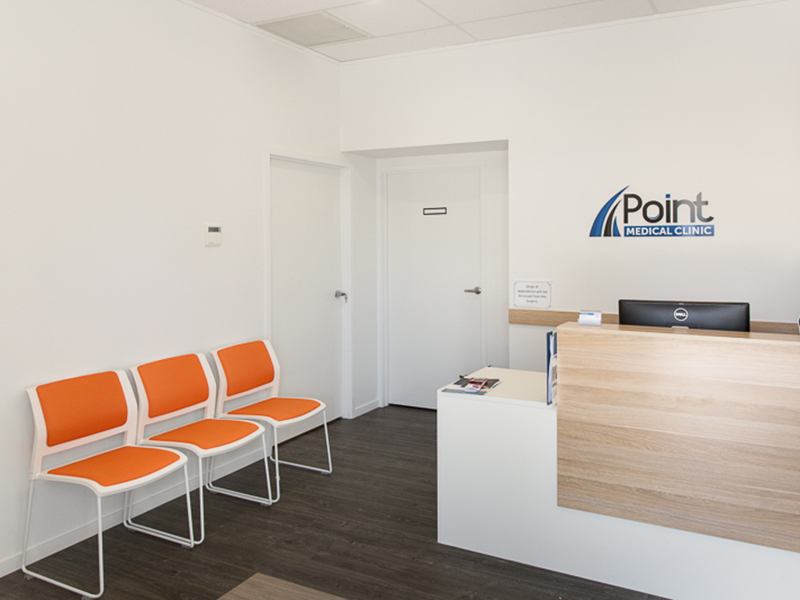 When you hire us, you’re hiring Sunshine Coast House Painting specialists. 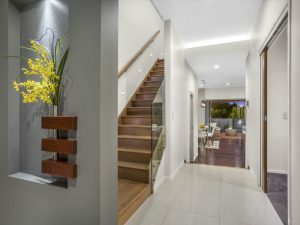 Most painting companies in the Sunshine Coast try to capture whatever work they can. They advertise that they paint interiors, exteriors, do roof restoration, paint commercial spaces, high rises…the list goes on. 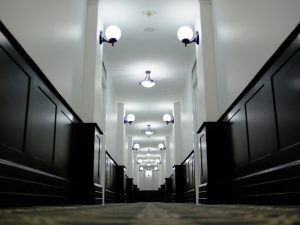 The problem with this is that every type of painting project has its own unique set of challenges and when companies try to do everything, important details get overlooked. That’s why we decided a while ago to specialise in Sunshine Coast house painting. Our clients love their homes and want to give them the TLC that they need. 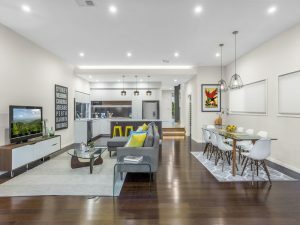 They aren’t interested in having some paint slapped up on the wall, but want long lasting finishes that enhance the features of their home and can enjoy for the years to come. As we interact with you as you are having your home painted we never overlook the fact that we need to be sensitive to your schedule, respect your privacy and your home. The ins and outs of painting homes on the Sunshine Coast have become so familiar to us that we are able to anticipate your expectations and take care of important things that can so easily be overlooked. 2. Our highly detailed quotations mean you’ll get exactly what you pay for. Isn’t it frustrating when you receive a quotation and once the job is completed you are presented with a whole list of extra items that you thought were included in the price? We promise that we will never spring any surprises on you when you hire us. 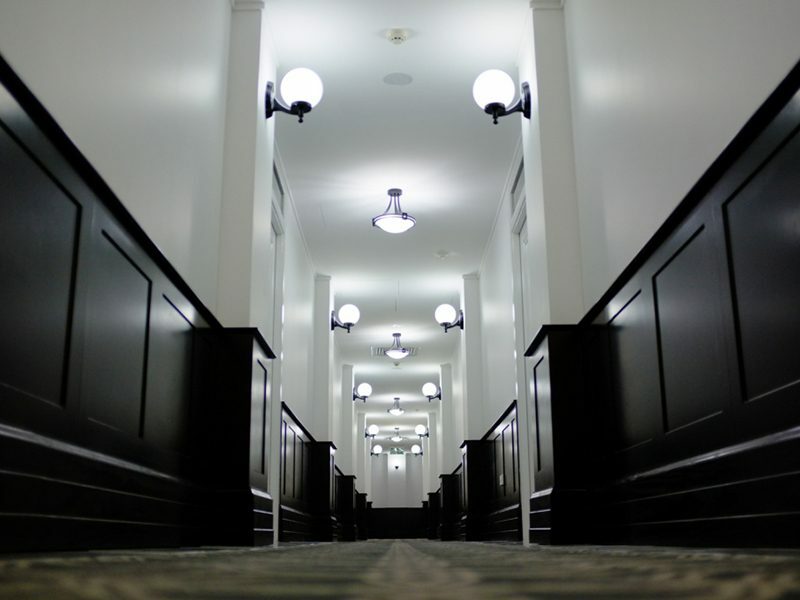 When we provide you with a quotation, everything will be highly detailed – from the level of preparation we will do to the number of coats we will paint on your walls. We will even provide you with different options, so you have full control over the level of finish for your project. Once that’s decided on, that’s the price you pay, end of story. If during the painting process you decide that there is extra work you would like us to do that wasn’t included in the original quotation, we’ll provide you with a new quotation and will continue working only when you have approved the additional cost. 3. We never cut corners. We strongly believe that the quote is the basis for an honest, trusting interaction between us and you. Rather than viewing the quote as only a ‘guide’ that is up for interpretation, we see the quote as a firm description of works that have been agreed to. To that end we have developed a quotation that means we never have to cut corners. When you receive our quotation you will notice that it looks very different from everyone else’s. For one thing, it is not a brief description with a price. Most often, we will give you 3 options, each with a detailed description of what each offer includes and what products we are going to use. This gives you the power to genuinely compare each offer and choose an option that reflects what you value. It’s true that sometimes a ceiling only needs 1 coat – so we will give you an option that only includes 1 coat on the ceiling. Not sure if you need premium paint? We’ll give you an option with a good quality trade paint. By being up front about what we will do and putting the choice firmly in your control, we eliminate the need to cut corners. 4. 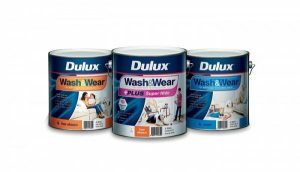 We use high quality Dulux products. The Reader s Digest 2016 Trusted Brands Australia Awards saw Dulux again voted the winner in the ‘Paint’ category. This continued a trend that has Dulux consistently win its category as well as a place in the top 5 “Most Trusted Brands” over the last few years. Clearly, Dulux has your confidence. We never have to try to convince our clients to use Dulux paints, as almost the first question we get asked is – “Do you use Dulux?” It’s great to be able to answer “Yes!” to that question. We know you feel better when we use Dulux paints and to be honest so do we. We love using Dulux products. From the friendly and helpful trade centre staff, to great business and trade support, all the way to the most important – the actual paint – we have to agree with the majority of Australians. Because we use Dulux paints exclusively, we can make informed suggestions on how to get the most value out of your investment. Do you have a mould issue? No problems! Dulux Wash and Wear +Plus Anti-Bac is the best paint to use. Need to effectively cover a dark coloured feature wall? No worries! Dulux Wash and Wear +Plus Super Hide will get you out of trouble. Instead of being overwhelmed by choice, you can be confident that there is a solution that fits your need perfectly. 5. We have a mountain of references you can contact. 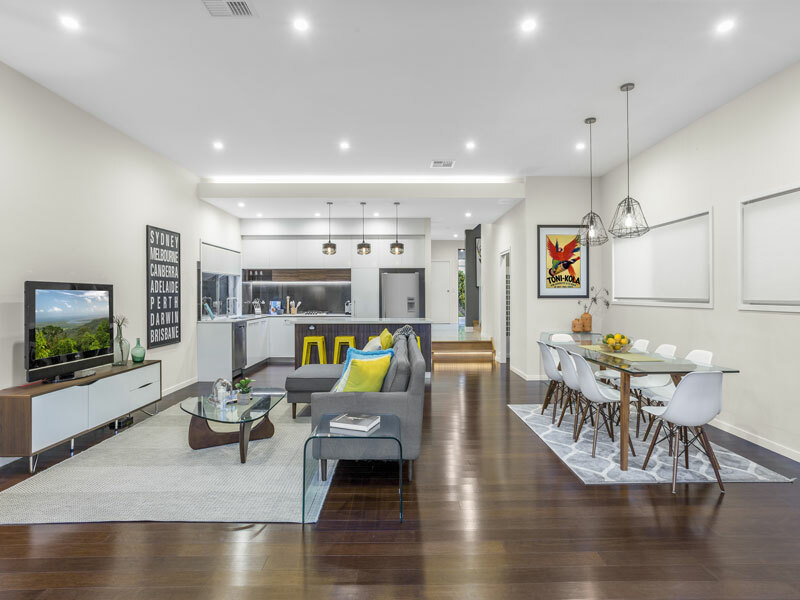 When you are trying to decide on the painting contractor you’d like to work with, I’m sure you’ll agree that it’s important to consider the experience of their previous clients. You have probably noticed that many websites include testimonials from previous clients. And while testimonials are great to see, it’s not always easy to tell if they are genuine or not. Wouldn’t it be great if there was some way you could check? We have several testimonials featured throughout our website, and to show you that we’ve got nothing to hide, we are happy to give you the phone numbers of some of our previous clients (with their permission of course). You can give them a call, talk to them in person and check that we aren’t just all talk. We are so keen to build your trust in us that we will provide you with the contact details of clients whose jobs we have recently completed, and other clients who we have worked with over the last 12 years. That way you’ll be able to see, not just how well we work now, but how our work stands the test of time. On page 10 of our free consumer guide, you’ll find a list of questions you may want to ask them. 6. We have a reputation for meeting deadlines. 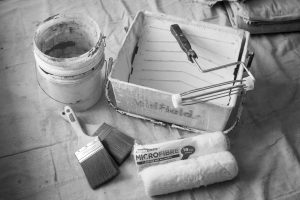 When you are having work done to your home, painting is usually one of the last trades on site. The efficiency and size of the painting crew that you hire will directly impact how long the overall job takes. The last thing you want, whether you are trying to meet a tight deadline or not, is for the painting to drag out for longer than it needs to. 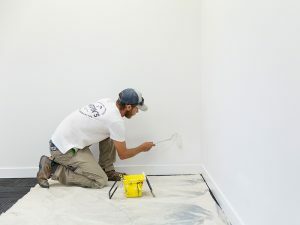 I’m sure you’ll agree that no matter what type of painting project you have, there is a set amount of man hours needed to complete it to a high standard. Over the last 15 years of running many different types of painting jobs, we’ve had the opportunity to experiment with various sized crews. And, after much observation and detailed job tracking, we have developed a formula for completing all jobs within a given timeframe. 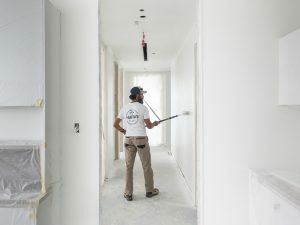 Our team of reliable painters work extremely efficiently together and have been trained to implement processes to finish painting homes in a timely fashion and to a very high standard. In fact, our teams are so effective that we can guarantee to meet any deadline. 7. We stay up to date with the latest in paint technology. There is no doubt these guys were tough, but it was also tough to try to get them to change their ways. You’ll know these guys if you run into them, they only offer one way – their way. It is certainly good to believe in the paint system that you are using but it is also important to move with the times. 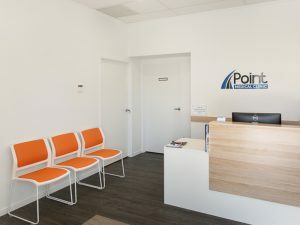 The advances in paint technology, painting equipment/tools and improved paint application techniques mean that a far greater range of your needs can be met then ever before. Need to paint over your tiles or dated laminate? Would you like to restore some heritage timber or pressed metal ceilings? Do you have special health concerns? These needs can be met by tradespeople who care enough to keep improving their skills and learning new ways to meet these challenges. 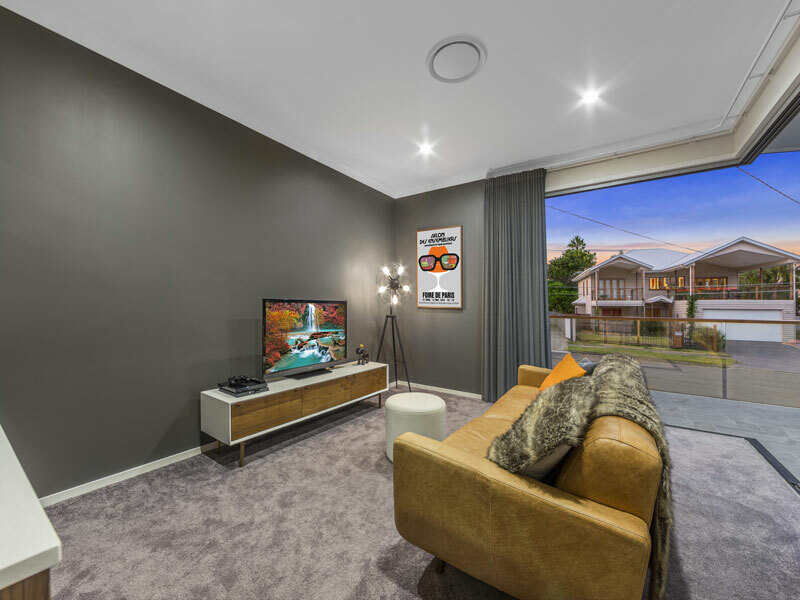 Through our association with The Masters Painters QLD and Dulux Accredited program – as well as other special trade and product information sessions – we keep ourselves right up to date with the latest in paint technology. 8. We work to minimise disruption. Life is busy! More than ever, we seem to have less time for disruption in our lives. You know how bad the traffic will be if you’re 5 minutes later than normal and the knock on effects that this one little inconvenience can create. It only seems to be when an event disturbs our normal routine that we realise how important our daily routines are in keeping our life running smoothly. Because we work in and around homes all the time we have developed strategies to minimise the disruption to your daily routine. We will chat with you and come up with a schedule to paint the high demand areas during quiet times. We keep our equipment and work area clean so that you don’t spend precious time cleaning up someone else’s mess. It’s not a magic wand but with good communication and a genuine respect for you and your family we have found that a great working relationship can result. 9. 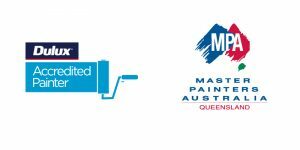 We are Dulux Accredited and members of the Master Painters Association QLD. We know how important it is for consumers to have confidence in the trade companies they work with. That’s why we are Dulux accredited and members of the Master Painters Association QLD. As Dulux accredited painters and MPAQ members, we are willing to have our work and business practices closely examined on a regular basis. Our business practices align with the ethical standards as set out by Dulux and the MPAQ. We are committed to using high-quality paints and stay up to date with training and advances in the painting industry. We have a proven track record of quality workmanship, industry knowledge and a focus on customer satisfaction. So, when you choose to work with us, you can be confident knowing that we are backed by Dulux and the MPAQ. 10. We are fully licensed and insured. 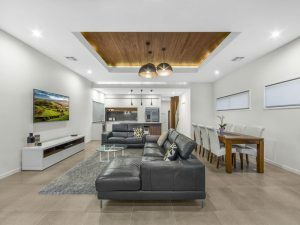 We are licensed with the QLD Building and Construction Commission, which is set up to uphold high industry standards and advocate for consumers who engage trade contractors. We have $15,000,000 in public liability insurance, so if anything goes wrong on the job, we’re covered. We’re also fully up to date with our Workers Compensation coverage or WorkCover. If by chance an accident occurs while completing your project, rest assured that it will be fully looked after. When you work with us, you will never have to stress about something going wrong. Click on the QBCC, WorkCover or GIO logos on our home page to view our current licensing and insurance details.